By Rudra Biswas : Seven years, lead cast in all the seven plays presented by noted filmmaker Mahesh Bhatt since 2011, Bokaro, Jharkhand, boy Imran Zahid, stacks up an impressive tally. His latest - Baat Niklegi Toh, a Hindi play, presented by Mahesh Bhatt, directed by Viren Besoya, written by Dinesh Gautam ,featuring Imran Zahid, Bhumika Singh and Akshita Sharma, opens at the Delhi Shri Ram Centre, New Delhi on June 9 and 10 with a rerun at Sophia Auditorium, Mumbai on June 24. Beginning with The Last Salute in 2011, a play based on the December 14,2008 shoe throwing incident when a TV correspondent of the al-Baghdadiya TV flung a shoe at the then US president, George W.Bush, Imran has starred in all Mahesh Bhatt's plays - Trial of Errors, Arth, Daddy, Hamari Adhuri Kahani, Do Deewane Shahar Me and now Baat Niklegi Toh. 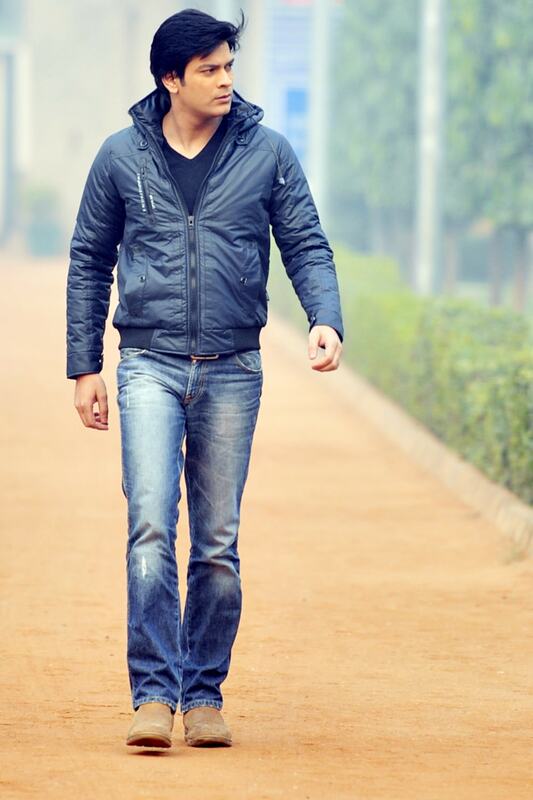 A DAV Bokaro alumnus, acting has been Imran Zahid's first love, since his school days. “I had been into acting since my school days in Bokaro and had even won awards. After school, I did my B.Com from Delhi University. While in college, I joined Arvind Gaur’s theatre troupe and acted in many plays. It was only in 2007, that I met Maheshji at a media workshop at India Club in Dubai in 2007. He was the chief guest and I, a participant. He had then prodded me to take up acting as a career,”Imran recalls. Though Imran moved to Delhi after his school, his parents still live in Bokaro. His father is a retired Bokaro Steel employee. “I visit my parents off and on. I love Bokaro, where I spent my childhood before I shifted to Delhi to do my B. Com from Hindu College in 1997,” Imran adds with a hint of nostalgia. Set in the 1990s Delhi, when the country was grappling with the Babri Masjid demolition, the Harshad Mehta masterminded stock market scam, reservation politics and the resultant caste and communal strife, Baat Niklegi Toh tells the story of Ajay Mishra, played by Imran Zahid, a small town boy from Bihar, with big dreams of becoming an IAS officer, who moves to Delhi to prepare for the UPSC exams and finds himself in the midst of a never ending chaos. 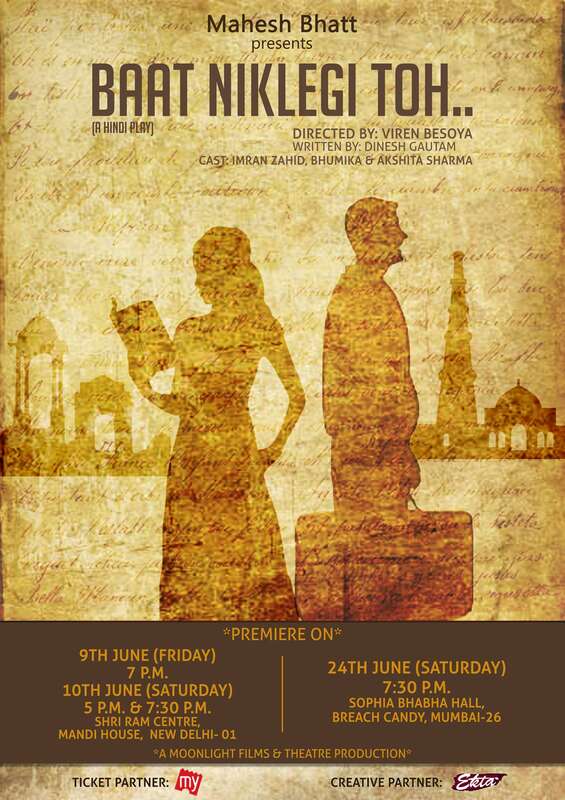 A story of hardship, strife and love, the Hindi play Baat Niklegi Toh, narrates how this simpleton from Bihar manages to juggle the socio - politico-economic pulls and pushes while keeping his dreams alive.
" Since I hail from Jharkhand, which was once part of Bihar, relating to this small town boy from Bihar called Ajay Mishra, has not been difficult.However for a better understanding of the role, I got in touch with Govind Jaiswal, one of the toppers of the IAS exam 2007 batch and the son of a rickshaw puller, as he possesses a similar background and story. This exercise gave me a lot of insight for the role that I am playing," Imran revealed. Referring to Baat Niklegi Toh, Imran points out that the play goes back to the time of 1990s, wherein the nation was struggling with issues of caste, political conflict and communal violence. Because of these exciting elements the audience wouldn’t face a single dull moment, he said. “I am very excited.I am grateful to Bhatt saheb, who has continued to repose his faith on me,” Imran confided. Bhumika Singh, who plays the female lead, will perform for a live audience for the first time." I will give my best and try not to let anyone down. I hope everything goes well," she said.